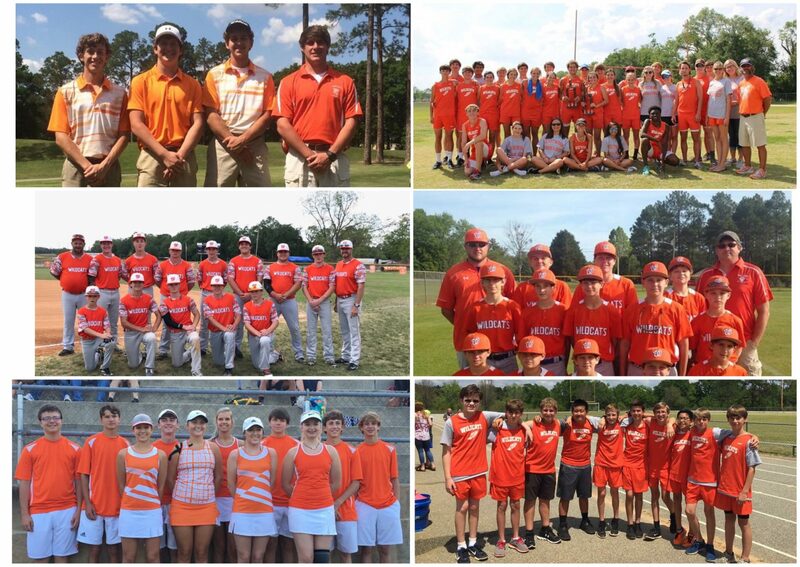 Westwood student athletes have enjoyed much success on the playing fields this Spring. After battling the Terrell Academy Eagles on April 15, the JV Baseball team finished their season strong as Region Runner Up. The Varsity Baseball team continues to battle through their schedule, with 2 Region games left in their regular season. The JV Track Team sprinted to success on April 13, and the boys and girls together finished strong, bringing home their fair share of 1st place ribbons. Westwood hosted the Varsity Region track competition on April 19, and both the boys and girls teams won Region Championships. In tennis, BIG congratulations to McKenlee Coleman, Girls AA State Runner-Up, as well as the doubles team of Brock Allen and Cameron Godwin, Boys AA Doubles State Champions. Last but not least, the Boys Golf team continues to swing for success, placing 3rd in Region competition and headed to the State tournament on April 24. Patrick Vereen shot a 78 for the day in Region competition, and he was chosen for All Region honors, a coveted award only given to the top 5 golfers in the Region. Wildcat student athletes are continuing to work hard in the classroom and on the field, consistently pushing to finish the 2016-2017 school year strong!